Today my grandmum and my dad were going out to attend my relatives' dinner at Traders Hotel. Just left my mum, sister and me at home. So my mum brought us to the nearby restaurant for our dinner. Actually this restaurant was just opened for only two more weeks. 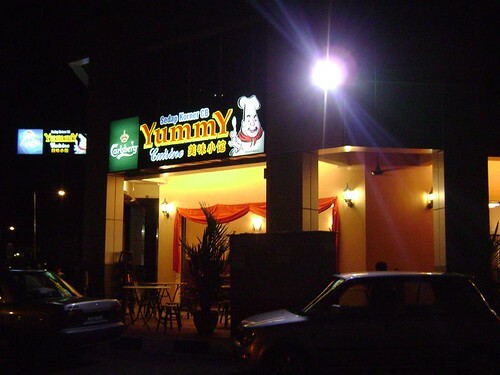 It named Yummy which running into the high standard eastern restaurant in the Sungai Ara area. I don't think the others can fight against it. Because it's style really looks like Old Town cafe with chinese feeling. Talk about it's food, I think there were still not bad but still can be improve. Just now we didn't have the rice dinner and we just have a light personal dishes. I ordered Bai Kut Ba Rice, my sister ordered Singapore Fried Bihun and my mum ordered a dish of Char Hor Fun. The outer view of the restaurant was nice and standard. 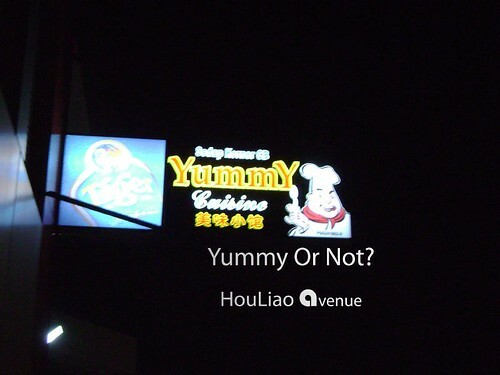 I think the concept of this chinese restaurant was copied the idea from some Francais shops such as Old Town or any cafe. It's also provided WiFi and the style really looks like a cafe. Inside still have one LCD TV showing! What we have was one (not a bowl) but I don't know how to mention this. It was made by cane tree wood. 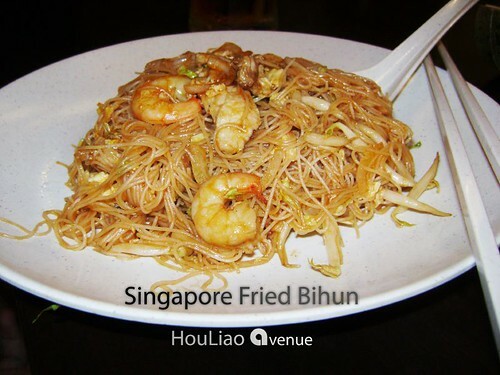 It's a quite creative style serving the dish and looks like nyonya style. Creative 10/10 but the taste okay la! This cost us RM 16. A plate of Char Hor Fun was ordered by my mum. 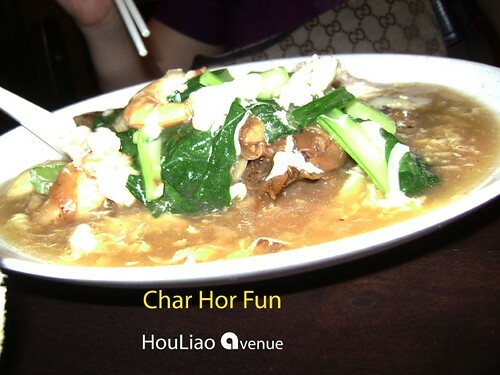 I think it's not bad but the quantity of Hor Fun was too little and it will not suit me if let me have this. RM 4 per plate will it cost expensive? 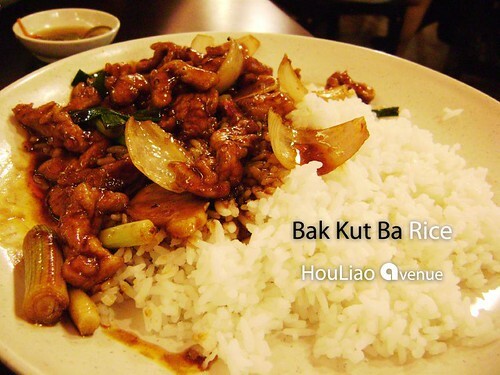 I have a plate of Bak Kut Ba Rice. It's made by Pork meat with some soup on top the rice. Before ordered I thought that's a plate of fried rice with meats. But at the end coming is one plate of plain rice with only some pork meats. Haiz... that's really wrong ordering! Luckily it just cost us RM4. 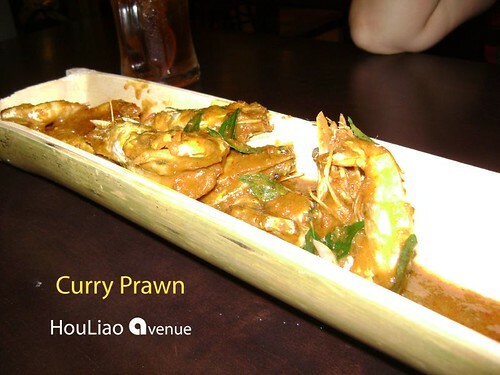 The Curry prawns look interesting; RM16....is the size of the prawn big? I totally agree with you that this restaurant needs improvement. @Christy yes it's quite big.. You have to go and try. I do think the lady boss is not friendly.she look so fierce.